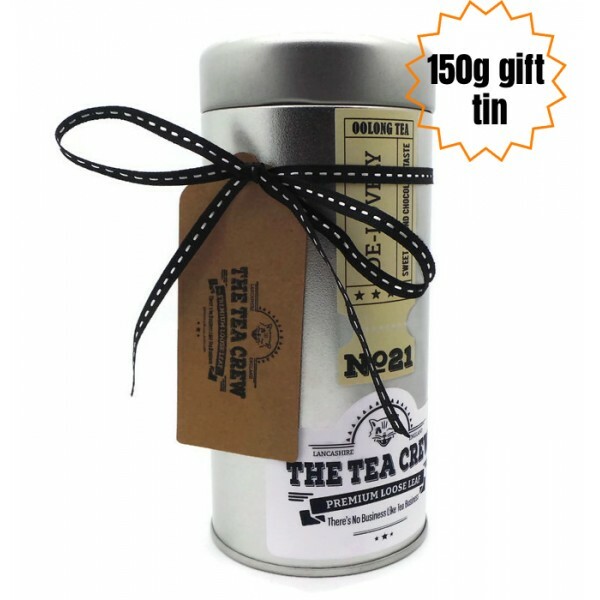 Choose any of our fine loose leaf teas and we'll hand pack them into one of our lovely tea gift tins. The tin will then be ribbon wrapped and include a hand made Tea Crew gift tag. You can also add a short message to the gift tag. Please let us know what you'd like on the tag when you checkout. The tin holds 150g of the tea of your choice. Refills for this tin also available. Tin dimensions 15.7 x 7.6cm.